Subject to any variation under Section 2 hereof, any customer who purchases goods and services (the "Customer") from SEW-Eurodrive Company of Canada Ltd. ("SEW") acknowledges that these Maxolution® General Terms and Conditions of Sale (the "Terms") shall govern the sale to the Customer of all goods and services to be supplied to a Customer by SEW pursuant to a Project Agreement, as defined below. In the event of any inconsistency between the terms and conditions contained in any other document of the Customer and these Terms, these Terms shall prevail unless otherwise agreed upon in writing by SEW or its duly authorized representative. SEW shall not be bound by any terms and conditions affixed to the Customer's purchase order or other procurement documents that are in addition to or inconsistent with these Terms unless such terms are consented to in advance by SEW in writing. Neither commencement of performance nor delivery by SEW shall be deemed or constituted as acceptance of the Customer's additional or conflicting terms and conditions. These Terms are subject to change at SEW's sole discretion at any time. For the purposes of these Terms, "Project Agreement" means any agreement or arrangement between SEW and the Customer for the purchase and sale of goods and services, which includes a written quotation provided by SEW and accepted in writing by the Customer and an order placed by a Customer which is accepted in writing by SEW, all which shall be subject to these Terms. All terms not otherwise defined herein shall have the meaning ascribed to them in the applicable Project Agreement. These Terms apply to all SEW's sales and any variation to these conditions and any representations about the goods and services have no effect unless expressly confirmed by SEW in writing. In entering into a Project Agreement, the Customer acknowledges that it does not rely on such representations which are not so confirmed. 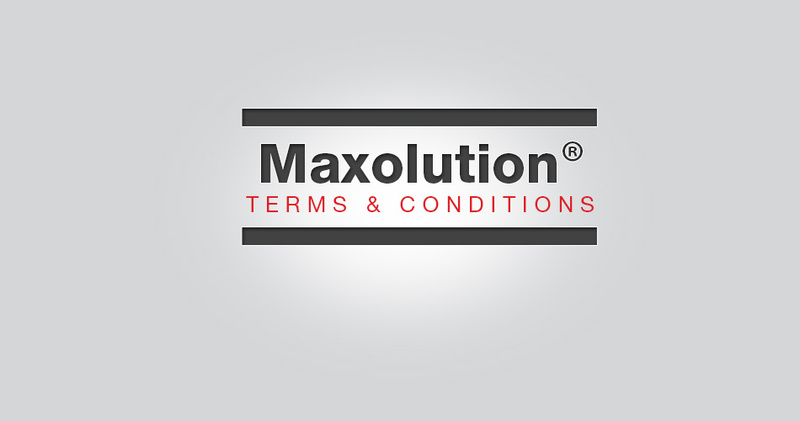 Where applicable, the Customer shall retain SEW to perform or cause to be performed all work for the supply and installation of certain components for the MAXOLUTION® system solution set out in the applicable Project Agreement (collectively, the "Work"). SEW shall supply all goods, materials, supplies and other equipment described in the Project Agreement (collectively, the "Equipment"). (a)	Unless otherwise specified in writing, all written quotations shall be intended for reference purposes only, constituting neither an offer to sell nor imposing any obligations or liability on SEW. All written quotations and offers to sell automatically expire thirty (30) days from the date quoted. For greater certainty, all offers to sell are offers by SEW to sell to the Customer on the terms set forth herein. (b)	No order placed by the Customer shall be deemed to be accepted by SEW unless and until confirmed in writing by SEW. SEW reserves the right to accept or decline any order in whole or in part within fifteen (15) days after receipt of the Customer's order, during which time the order may only be cancelled, rescheduled or modified by the Customer with the prior written consent of SEW or its duly authorized representative. For greater certainty, subsequent requirements of Customer for products not contained in an original offer to sell or the Customer's order must be accepted and confirmed in writing by SEW or its duly authorized representative. (c)	Any offer that has been confirmed in writing by SEW shall be subject to these Terms. (a)	The total amount to be paid to SEW for the Work (the "Contract Price") is as set out in the Project Agreement. Unless otherwise expressly agreed upon, all prices are exclusive of applicable sale, use or other taxes payable to any governmental authority, including revenue or excise tax, or value added tax. The Customer shall pay, in addition to the Contract Price, the amount of any such taxes or shall reimburse SEW for the amount thereof that SEW may be required to pay. (b)	The Customer will pay SEW the Contract Price as agreed upon in writing by the parties. (c)	SEW shall issue an invoice to the Customer at the applicable project milestone. Payment of each invoice is due within thirty (30) days of the invoice date or such other time period as the parties may agree upon writing. (d)	Unless otherwise agreed upon in writing by SEW, all payments shall be in Canadian dollars and must be made directly to SEW by direct deposit, wire transfer, money order or certified cheque, or as otherwise set out in the invoice. The Customer shall not have any right of deduction or set-off whatsoever. (e)	Any amount owed by the Customer beyond the date that such amount first becomes due and payable shall accrue interest if SEW confirms in writing that interest is payable from the date that it first became due and payable at a rate of five percent (5%) per annum. Where such balance is payable in installments, SEW reserves the right to charge interest on overdue installments at the said rate from the date payment is due to the date of payment. Pro rata payments shall become due as shipments are made and actually received. If shipments are delayed by or at the request of the Customer, payment shall become due when SEW is prepared to make shipment. If the cost to SEW of equipment is increased by reason of delays caused by the Customer, such additional cost incurred by SEW shall be paid by the Customer. Equipment held for the Customer shall be at the risk and expense of the Customer. (f)	For the avoidance of doubt, the Customer shall be entitled to withhold from the Contract Price any holdback amount required to comply with the Construction Lien Act (Ontario) or other construction or mechanics lien legislation, where applicable. (g)	If at any time SEW determines in good faith that the Customer's financial condition or credit rating does not justify a sale on credit or if the Customer is at any time in default of any undelivered indebtedness or obligation owed to SEW, then SEW may: (i) suspend further delivery of products or provision of services until payment is received in full; and/or (ii) require cash payment in advance of the delivery of products or provision of services; and/or (iii) refuse to deliver any undelivered products or provide any further services, without incurring any liability to SEW for non-delivery or any delay in delivery; and/or (iv) terminate the Agreement. The Customer agrees to submit such financial information from time to time as may be reasonably requested by SEW for the establishment and/or continuation of credit terms. The Customer agrees to pay any and all legal fees associated with payment collection. (a)	Delivery to the Project Site shall be in accordance with the Incoterms 2010 specification set out in the Project Agreement. Selection of the carrier and route of delivery shall be made by SEW unless specified in writing by the Customer. (b)	Any indicated dates of delivery are approximate only, but SEW will attempt to meet them where commercially reasonable. SEW shall not be liable in any manner whatsoever for delays in manufacturing or delivery. SEW will not be bound by any penalty clause contained in any specification or order submitted by the Customer unless such clause is specifically agreed to in writing by an authorized officer of SEW. (c)	In the event of failure to pay according to the terms of the Project Agreement, further deliveries may be suspended at the sole discretion of SEW, and, thereupon, all direct and indirect costs incurred by SEW in respect of the time spent or materials purchased by SEW in relation to any contracts outstanding between the parties at such date shall become due and payable. (d)	SEW will preserve, package and handle the Equipment so as to protect the Equipment from loss or damage and in accordance with reasonable commercial practices in the absence of any specifications which the Customer may provide. SEW shall install the Equipment, in a good and workmanlike manner and in accordance with the Project Agreement, at the Project Site. Unless otherwise agreed in writing by the parties, SEW reserves the right to perform the Work in stages. Delay or failure by SEW to perform a stage of Work in accordance with the Project Agreement shall not entitle the Customer to repudiate or cancel other stages of the Work. SEW may engage one or more subcontractors, suppliers, vendors or consultants to provide any Work or Equipment required under a Project Agreement. The Customer shall provide SEW, and its employees, agents, vendors and subcontractors unrestricted access to the Project Site, including electrical systems and any other facilities that are required during completion of the Work. (a)	Upon the arrival of SEW's service personnel at the Project Site, the Customer shall ensure that the Work can be performed immediately and completed without delay. vi. ensuring that all equipment and tools of SEW's service personnel are stored in a secure and dry location at the Project Site. Neither SEW nor its employees, agents or affiliates shall be liable for any act or omission of the Customer, or any loss or damage suffered by the Customer's equipment unless such loss or damage is the result of the gross negligence of SEW. (c)	Components (hardware and software) which are quoted in the Project Agreement have different replacement times and mean time to repair than standard components out of the SEW portfolio. The Customer is responsible to ensure to have the right quantity of spare parts in stock corresponding to its needs and the needs of the end customer. (d)	SEW shall be entitled to refuse to perform the Work without liability or penalty if the provisions of this section are not strictly complied with by the Customer. If the Customer is delayed in the provision of assistance, a reasonable extension of time shall be granted to SEW, which shall not be less than a day-for-day extension of the construction and installation schedule. The Customer agrees to reimburse SEW for all applicable costs or expenses incurred by SEW arising from the Customer's failure to prepare the Project Site for the provision of Work in accordance with this Section. 10. Additions or Changes in Work or Equipment. At any time, either party may submit to the other party a written notice for approval of any desirable or necessary additions or changes to the Work to be performed or the Equipment supplied hereunder (a "Change Order"). A Change Order shall include a description and reason for the change, an estimate of the actual costs or the savings of actual costs associated with such alteration or change and an estimate of the changes to the project schedule caused by such alteration. Upon the acceptance of a Change Order by the other party, such Change Order, including any changes to the Contract Price and the project schedule, shall be incorporated into the applicable Project Agreement which shall be modified accordingly. For greater certainty, no change or extra Work shall be effective without a Change Order signed both parties. (a)	SEW will use commercially reasonable efforts to meet requested dates and times for the delivery and installation of the Equipment as set out in Appendix Error! Reference source not found.. However, specific dates and times will not be guaranteed and time shall not be of the essence unless previously agreed upon in writing by the parties. Any Equipment not available for shipping at the Customer's requested ship date will be backordered and shipped when available, unless otherwise requested. (b)	SEW shall not be liable for any damages, losses, costs or expenses (collectively, the "Damage") resulting from SEW's delay in delivery of the Work unless such Damage arises from the gross negligence of SEW. Notwithstanding the foregoing, where the gross negligence of SEW causes a delay in the delivery of the products or provision of services, the Customer's sole remedy shall be the payment of compensation equal to half of a percent (0.5%) per week up to a maximum of five percent (5%) of the value of the portion of the delivery which cannot be used on time for its intended purpose as a result of the delay. (a)	SEW shall send a written notice to the Customer at least ten (10) business days prior to when it believes that the Work will completed. The said notice shall set out the anticipated completion date and the dates when SEW will be conducting the performance tests set out the Project Agreement (the "Performance Tests"). SEW shall send the Customer a further written notice (the "Completion Notice") when it believes that the Work has been completed. (b)	The Work will be completed only if the Equipment passes the Performance Tests. The Customer shall make itself available at the dates and times specified by SEW for the conduct of the Performance Tests. If the Customer fails to make itself available for the Performance Tests, the Customer shall be deemed to have irrevocably accepted the results of the Performance Tests conducted by SEW. (c)	Within ten (10) business days after delivery of the Completion Notice, the Customer shall inspect the Equipment for the purpose of identifying any deficiencies for which SEW may be responsible. If the Customer determines that the Work is deficient, the Customer shall provide SEW with a written notice containing the full details of the alleged deficiency (the "Inspection Notice"). SEW shall promptly investigate the Customer's claim and shall, at its sole discretion and within ten (10) business days of the date of the Inspection Notice either: (i) provide information to the Customer confirming that the Work is not deficient; or (ii) advise the Customer of its planned corrective action. If SEW determines that the Inspection Notice was given without cause, Customer shall reimburse SEW for all applicable costs and expenses thereby occasioned to SEW. If the Customer fails to provide the Inspection Notice to SEW within ten (10) business days after delivery of the Completion Notice, the Customer shall be deemed to have irrevocably accepted the Work as at the date of the Completion Notice. (d)	The Customer shall not be entitled to submit an Inspection Notice if the alleged deficiency are minor in nature and do not affect the Customer's ability to use the Equipment for its intended purpose, or if the alleged deficiency is as a result of the Customer's negligence. (e)	Records of all inspection work by the Customer shall be maintained by the Customer and made available to SEW for a period of thirty-six (36) months after the delivery of the Completion Notice. (a)	Title to all and any portion of the Work and Equipment shall remain with SEW and not pass to the Customer until payment of the Contract Price and any other obligations arising in relation to the Project Agreement have been received in full by SEW. Service items that have been delivered for testing and demonstration purposes and any machinery and tools required to perform and complete the Work shall also remain the exclusive property of SEW. The Customer shall be obliged to keep Equipment free from the rights of third parties and shall not pledge or purport to transfer title to same as security. (b)	Notwithstanding such retention of title, risk of loss and care, custody and control of all and every portion of the Equipment shall pass to the Customer upon the date that the Equipment, or any portions thereof, are delivered to the Project Site. SEW shall deliver to the Customer the Equipment related documentation set out in the Project Agreement, including two (2) hard copies of the drawings, as well as one complete set of the documentation on a CD-Rom. The Work shall include patents, copyright, knowhow and other intellectual property of SEW, or any subcontractor, that was developed prior to or independent of the Work (collectively, "SEW Intellectual Property"). SEW shall retain ownership of all right, title and interest in all SEW Intellectual Property. The Customer and its successors and assigns shall have a non-exclusive, worldwide, perpetual license and right to use such SEW Intellectual Property in connection with the Equipment only. As part of the Work, SEW will provide the Customer with training on how to use the Equipment as further described in the Project Agreement. The Customer shall use, and shall require its employees, agents and authorized representatives to use safety devices, guards, and proper safe operating procedures in accordance with instructions provided by SEW or its authorized representatives. The Customer shall comply with all applicable federal, provincial and municipal health and safety laws, standards and regulations ("Safety Laws"). SEW shall have no liability for, and the Customer shall indemnify and hold SEW harmless from, any damages, obligation, loss and expenses arising from or related to the Customer's breach of Safety Laws. (a)	SEW warrants for a period of twelve (12) months from the date of the completion or deemed completion of the Work but which shall begin no later than one (1) month after SOP (the "Warranty Period"), that the Work has been performed in a good and workmanlike manner: (i) free from defects in assembly and workmanship; (ii) in compliance with the requirements of the Project Agreement; and (ii) in compliance with all applicable laws (the "Limited Warranty"). (vi)	damage caused by any third party. For greater certainty, SEW shall not be liable to the Customer for the consequences arising out of, connected with or resulting from any installation, alteration, maintenance, repair or service work performed by third parties or the Customer without the prior approval of SEW. (c)	If during the Warranty Period the Customer believes that services are defective or deficient, the Customer shall provide SEW with a written notice containing the full details of the alleged defect or deficiency (the "Warranty Notice"). SEW shall promptly investigate such claimed breach and shall, at its sole discretion and within ten (10) business days of the date of the Warranty Notice either: (i) provide information to the Customer confirming that no breach of warranty has in fact occurred; or (ii) advise the Customer of SEW's planned corrective action. If SEW determines that the Warranty Notice was given without cause, the Customer shall reimburse SEW for all applicable costs and expenses thereby occasioned to SEW. If a breach of warranty has in fact occurred, SEW shall, at its sole discretion, promptly: (i) re-perform or correct the deficient Work at no additional cost to the Customer; or (ii) refund amounts paid by the Customer related to the portion of Work in breach of warranty. All Work that has been re-performed or corrected under warranty shall only be warranted for the balance of the original Warranty Period. (d)	Notwithstanding anything contained herein to the contrary, where SEW is required to perform corrective and preventive maintenance work, the Limited Warranty shall be limited to services actually rendered. (e)	SEW shall in no event be liable to the Customer, under this warranty or otherwise, for claims, expenditures or losses arising from operational delays or work stoppages or damage to property caused by defective equipment, or for consequential damages of any nature whatsoever. (f)	The Limited Warranty is the only warranty provided by SEW and all other warranties and/or commitments, whether express or implied and no matter by whom made, whether statutory or otherwise, are subsumed and replaced by it and are of no legal effect. If any provision of the Limited Warranty is held by a court of competent jurisdiction to be void or unenforceable, in whole or in part, such provision shall be deemed severable and will not affect or impair the legal validity of any other provision of the Limited Warranty. Notwithstanding any provision contained herein to the contrary except Section 11(b) of these Terms, in no event shall SEW, its affiliated companies, shareholders, officers, directors, agents, employees, suppliers or subcontractors (collectively, "Related Parties") be liable, either jointly or severally, to the Customer for any damages, claims, demands, suits, causes of action, losses, costs, expenses and/or liabilities in excess of an amount, in the aggregate, equal to fifty (50%) percent the Contract Price regardless of whether such liability arises out of breach of contract, guaranty or warranty, tort, product liability, indemnity, contribution, strict liability (including product liability claims) or any other legal theory. Under no circumstances will SEW and its Related Parties be liable for any consequential, incidental, indirect, special, exemplary or punitive damages, including, without limitation, loss of actual or anticipated profits or revenue (including loss of revenues), loss of use of any property, cost of capital, business interruption costs, downtime costs, injury to person or property or death, property losses and damages due to third party claims, arising out of the Project Agreement or SEW's performance of its obligations hereunder. Any action or suit by Customer against SEW relating to a Project Agreement or the Work covered hereby must be brought within the Warranty Period. The parties hereto acknowledge and agree that this is a commercial transaction. The Customer shall indemnify, defend and hold harmless SEW from and against all claims, demands, causes of action (including third-party claims), losses, damages, expenses (including consequential and incidental damages, court costs and legal fees) and liabilities of every kind and nature that SEW incurs (a) as a result of Customer's breach of any of Customer's obligations under the Project Agreement; (b) arising from the misuse of the Equipment or the use of the Equipment in a manner not consistent with industry standards, (c) arising from any act or omission of the Customer, any affiliate of the Customer, or any agent or employee of the Customer, or (d) arising from the manufacture by SEW of goods or special parts made in accordance with the Customer's specifications. The Customer hereby remises, releases and forever discharges SEW from all claims arising out of a breach by SEW of the Project Agreement, including any claims for indirect or consequential damages. (a)	For the purposes of the Project Agreement, "Force Majeure" shall mean, when used in connection with the performance of a party's obligations under the Project Agreement, any unforeseeable events arising from causes beyond such party's control and which by the exercise of due diligence such party could not reasonably have been expected to avoid and which it has been unable to overcome despite the exercise of reasonably diligent efforts, including, without limitation, acts of God or public enemies, acts of civil or military authority, labor disputes, natural disasters, fires, riots, wars or conditions of war, embargoes, accidents, epidemics, floods or other unusually severe weather, or closing or obstruction of highways, bridges or ferries, delayed or failed deliveries by subcontractors, restraint by court order or public authority (whether valid or invalid); action of any governmental authority; material change in the laws, regulations, by-laws, ordinances or other legal requirements of Canada or the province or municipality of the Project Site; and/or inability to obtain or keep in force the necessary governmental authorizations, permits, licenses, certificates or approvals, in each case, if not caused by the party asserting the Force Majeure, any of which have a material, substantial and adverse effect on either parties ability to perform pursuant to the terms of the Project Agreement. (b)	SEW shall not be liable to Customer for any delay or failure to deliver or install the Equipment arising from a Force Majeure. In the event of a Force Majeure, SEW must promptly provide the Customer with written notice of the Force Majeure. SEW's time for delivery shall be extended for a period equal to the time lost by reasons of the Force Majeure without subjecting SEW to any liability or penalty. (c)	If one or more Force Majeure events lasts longer than ninety (90) consecutive calendar days or one hundred and eighty (180) calendar days in the aggregate, either party may terminate all or part of the order, without incurring any liability or penalty, by providing fourteen (14) days written notice of such cancellation to the other party. (iii)	Except as otherwise expressly provided for in this Section, the Customer is in material breach of its obligations under the Project Agreement and such material breach continues uncured for fifteen (15) days after receipt of written notice of such material breach from SEW. (iii)	Adjust the Contract Price and/or project schedule for any increased costs associated or connected with such Event of Default. (ii)	SEW is in material breach of its obligations under the Project Agreement and such material breach continues uncured for thirty (30) days after receipt of written notice of such material breach from the Customer. (iii)	SEW shall be entitled to payment for the portion of the Contract Price represented by the Work as of the date of termination. Such payment shall be made within thirty (30) days of the date of termination. All information disclosed by SEW in the course of a transaction, including information contained in any of the documentation delivered by SEW pursuant to the Project Agreement, shall be kept strictly confidential and used only for the performance of the transaction, and, in particular, neither be used as subject-matter of applications for intellectual property rights, nor utilized in an illegal manner, and shall be returned to SEW upon completion of the transaction. The obligation to keep confidentiality shall not apply to confidential information which must be disclosed or stored by the Customer pursuant to applicable laws or regulatory or judicial order, and shall expire only if and after the knowledge contained in the delivered documents has become known to the public. The parties hereby agree that if any dispute arises out of, or relates to, the Project Agreement, or the breach, termination, validity or subject matter thereof, they will endeavour to settle the dispute by means of good faith negotiations. In the event that the dispute cannot be resolved by good faith negotiations between the parties, then it shall be resolved by arbitration. Unless the parties agree on the arbitration procedure to be followed, the arbitration shall be conducted by a single arbitrator. The arbitrator shall be appointed by agreement between SEW and the Customer or, if the parties are unable to agree on an arbitrator, the arbitrator shall be appointed by a Judge of the Ontario Superior Court of Justice sitting in Brampton, Ontario upon the application of either the Customer or SEW and a Judge of the Ontario Superior Court sitting in Brampton shall be entitled to act as such arbitrator, if he or she is willing to do so. The arbitration shall be held in the City of Brampton. The procedure to be followed shall be as agreed by the parties or, if such agreement cannot be reached promptly, as determined by the arbitrator. The arbitration shall proceed in accordance with the provisions of the Arbitration Act, 1991 (Ontario) as amended and successor legislation thereto. The decision arrived at by the arbitrator shall be final and binding and no appeal shall lie therefrom unless otherwise agreed upon in writing by the parties. 26. Time of the Essence. Unless otherwise provided in the Project Agreement time shall be of the essence. No waiver of any of the provisions of the Project Agreement shall constitute or be deemed a waiver of any other provision (whether or not similar) or a continuing waiver unless otherwise expressly provided in writing. Neither party shall assign the Project Agreement or any of its rights hereunder without the prior written consent of the other party. Subject to the foregoing, the Project Agreement shall enure to the benefit of and be binding upon the parties hereto and their respective heirs, executors, administrators, successors and permitted assigns. In the event that any provision herein or part thereof shall be deemed void or invalid by a court of competent jurisdiction, the remaining provisions or parts thereof shall be and remain in full force and effect. If, in any judicial proceeding, any provision of the Project Agreement is found to be so broad as to be unenforceable, it is hereby agreed that such provision shall be interpreted to be only so broad as to be enforceable. The Project Agreement, including these Terms, all appendices attached thereto, constitutes the entire agreement and understanding between the parties with respect to the subject matter thereof and that there are no collateral agreements, representations or warranties, verbal or otherwise. SEW shall not be bound by any terms and conditions affixed to Customer's purchase order or other procurement documents that are in addition to or inconsistent with the Project Agreement. The Project Agreement and any document relating thereto shall be governed by and interpreted in accordance with the laws of the Province of Ontario and the laws of Canada applicable therein, without reference to their respective conflict of laws rules and excluding the United Nations Convention on the International Sale of Goods. Both parties hereby expressly and irrevocably attorn to the exclusive jurisdiction of the courts of Brampton in the Province of Ontario in respect of all matters arising out of or in connection with this Project Agreement and any document relating thereto or such other competent Ontario court that may have jurisdiction over the subject matter. Notwithstanding the foregoing, SEW retains the right to seek equitable or injunctive relief in any court of competent jurisdiction. The Project Agreement, these Terms and any documents relating thereto have been prepared in the English language at the express request of the parties. Les parties exigent, et par les présentes confirment leur demande, que ce contrat et tous les documents y afférents soient rédigés en anglais seulement. The Project Agreement may be executed in any number of counterparts, and/or by facsimile or e-mail transmission, each of which shall constitute an original and all of which, taken together, shall constitute one and the same instrument. Notwithstanding the date of execution of any counterpart, each counterpart shall be deemed to bear the effective date first written above. Any party executing the Project Agreement by fax or PDF file shall, immediately following a request by any other party, provide an originally executed counterpart of the Project Agreement; provided, however, that any failure to so provide shall not constitute a breach of the Project Agreement except to the extent that such electronic execution is not otherwise permitted under the Electronic Commerce Act, 2000 (Ontario).